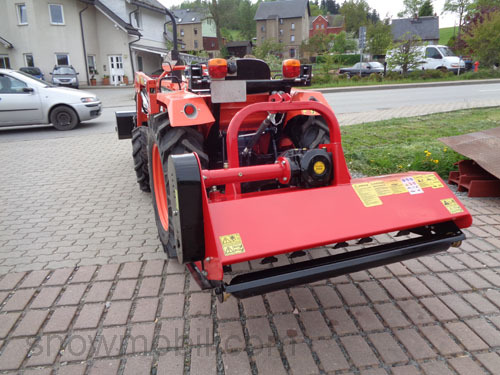 1.650,00 EUR 19 % VAT incl. We sell this unit since 2005 and order from our Italian distributors always full truck loads, therefore our top price at top quality. 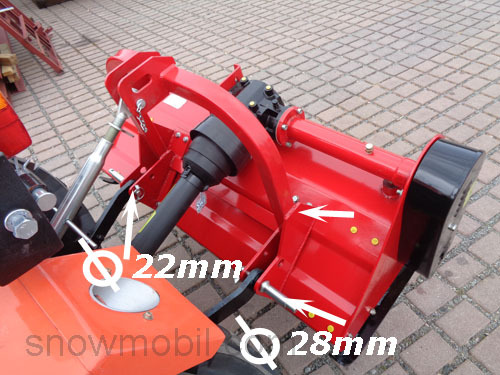 The tractor should have a rear three-point hitch KATI and KATII. 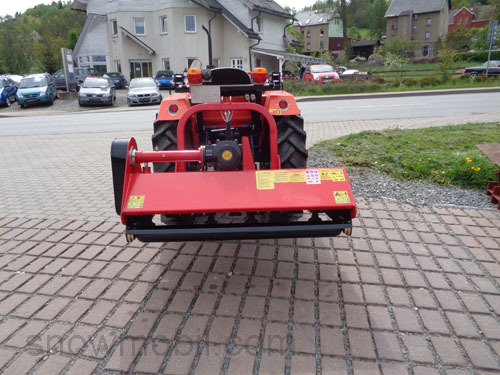 This flail mower is suitable due to its light weight for tractors from 75 PS. 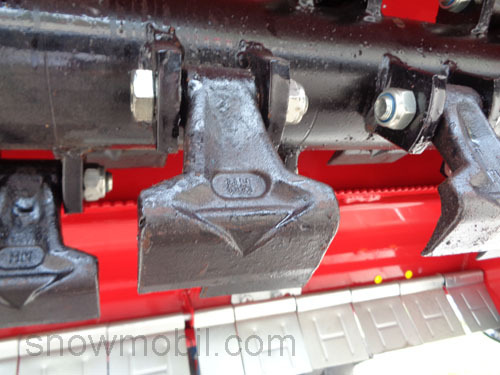 The flail shaft is driven via 3 belts, wherein the tensioning device is easy to grasp and adjust. 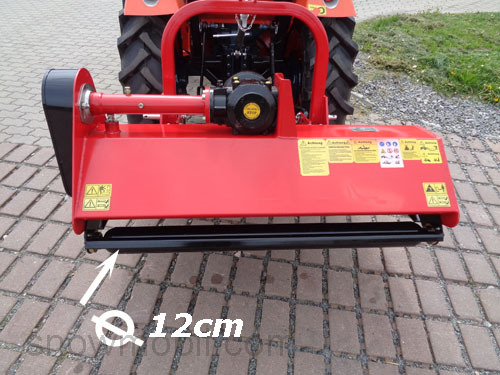 Tall grass, tree branches and bushes to 3cm thickness are absolutely no problem. By hammers flails a very good and clean cut is observed. 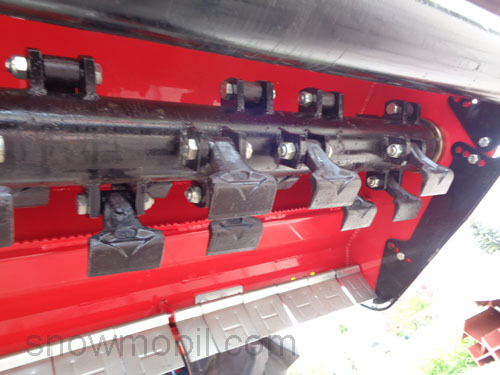 As standard the heaviest and robostete gearbox is installed. Gear oil needs to be replenished. 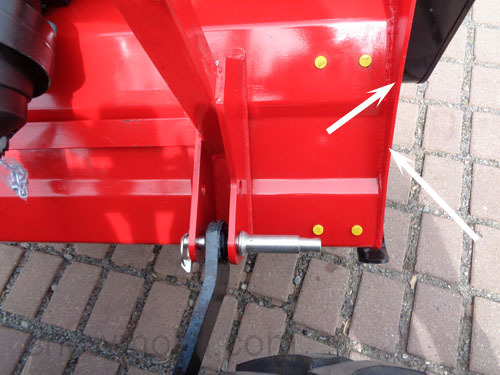 At the front of mulcher prevent galvanically coated pendulum lamellae the penetration of stones and other objects, so you have the security against stone impact. The device conforms to the applicable safety standards and is CE - certified. 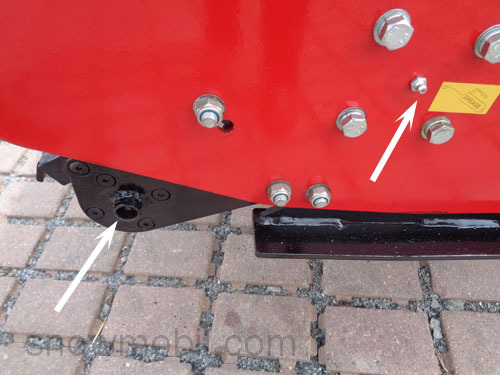 The mulcher is equipped with freewheel gear. The PTO is included. 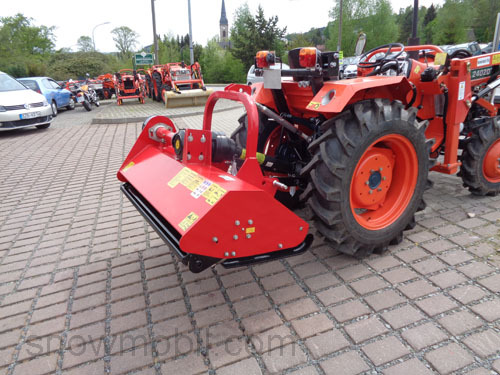 The flail mower is equipped with hammer-knives, which are staggered around the shaft. 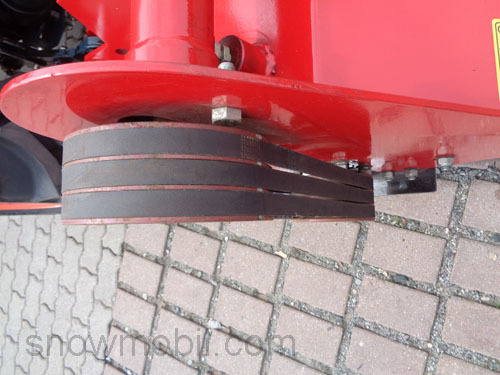 The blades have a long service life and can be easily sharpened with an angle grinder. The steel housing is outside 6 mm thick. The inner part is made ​​of 4 mm sheet steel. 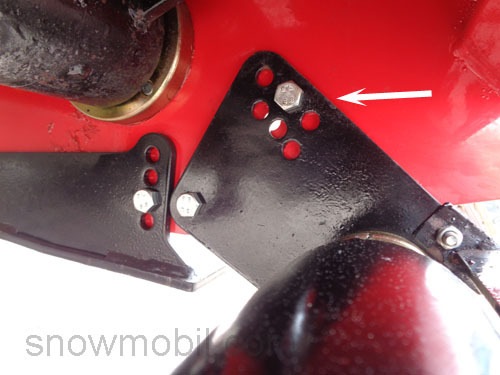 The bracket and the parking support are included as standard in the package. 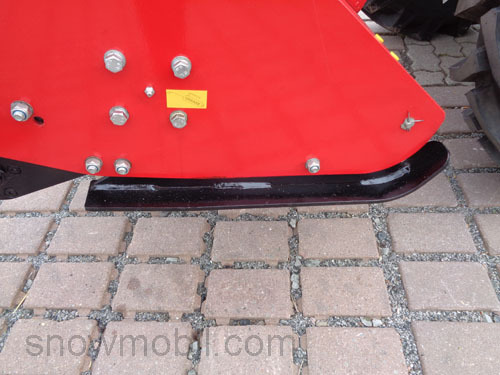 The rear roller is equipped with a wiper, and thus self-cleaning of the entire length. The stone guard is fitted front and rear. 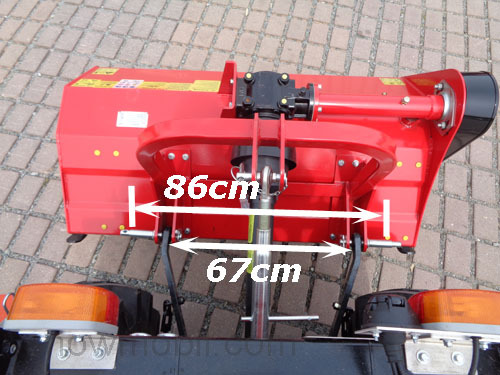 The cutting height is easily adjustable in 6 steps by skids. 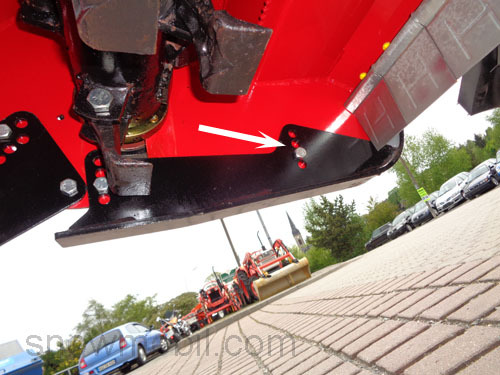 But also the rear roller can be adjusted in height. As Option 3 the cutting height can be adjusted by adjustment of the upper arm. • Drive speed 540 rpm. With manual including parts list! Directly available in our warehouse! 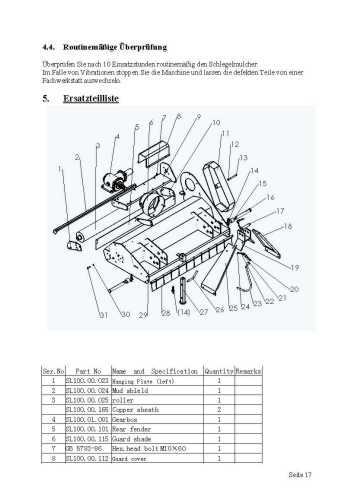 All spare parts are also in stock!